I am currently an Educational Psychology and Educational Technology (EPET) Ph.D student at Michigan State University. My background is in special education, specifically working with students who have learning disabilities, while my master's degree is in educational leadership. I am exploring educational research topics that promote a greater experience of justice and equity in the classroom. I am interested in studying the impact of classroom environment factors, such as teacher approachability and perceived autonomy, on girls of colors as it pertains to situational interest in mathematics. The lack of female representation in STEM fields is well known but not extensively researched. I will be adding to the literature to create more inclusive learning environments that are consistent with how female students would describe a supportive classroom. 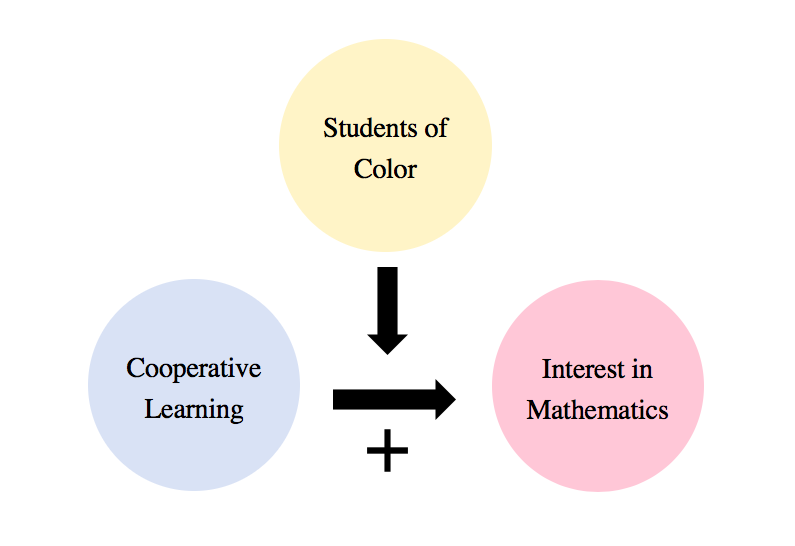 There is a gap in the literature regarding the relationship between cooperative learning and interest in the area of mathematics for students of color. At this time, there are more studies addressing these factors in science classrooms, partially because it is easier to create a sense of autonomy in science classroom. I will be exploring whether cooperative learning aids in increasing interest in the area of mathematics for students of color. As I begin to understand this dynamic more, I will then explore if the results are in any way different for students of color, and if there appears to be a difference, then I will ask how and why this is true. Ultimately, I want to understand the factors that lead to greater academic success in mathematics for students of color and particularly for girls of color. This study is important because it could provide a lens through which to create increasingly inclusive classrooms as it pertains to a historically marginalized groups, particularly in the field of mathematics. I am particularly interested in the fact that this study would be looking at student perceptions, which give students a chance to voice how they are experiencing their learning environment. If there can be a more accurate picture of how these factors interact, then there can be steps made toward generalizability.